As a legend in the Tibetan tales, Milarepa is one of the greatest yogis all around Tibet. He learned from Marpa Lotsawa and became a leading figure in the Kagyu sect. Milarepa Meditation Cave was the retreat where Milarepa practiced yogic meditation for nearly one year after completion of his studies from Marpa Lotsawa. Located in Nyalam where is a beautiful Tibetan county closed to Kathmandu, Milarepa Meditation Cave is one of the most important tourist attractions not to be missed on a Tibet-Nepal trekking. 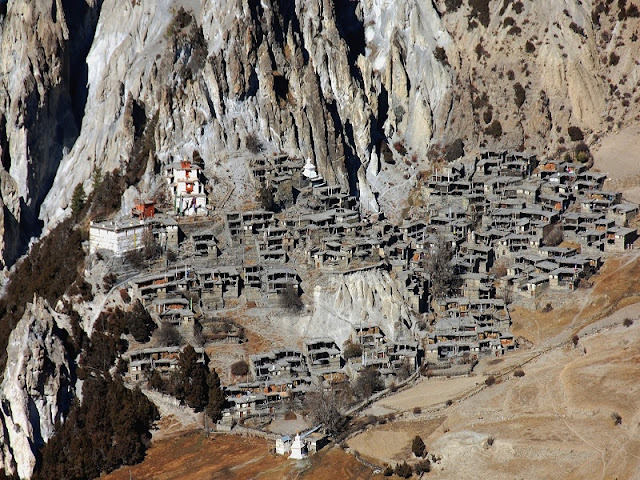 Nyalam is a county with stone buildings built at an altitude of 3,750 meters. It’s called the road to hell by traders of the two countries because the mountain road between Nyalam and China-Nepal border once was rough and narrow. Heading north from Nyalam the road fall rapidly through Yarlung Zangbo Grand Canyon. Nyalam is just 30 km away from Nepal border, and 152 km away from Kathmandu by the Sino-Nepalese Highway. Milarepa Cave is 11 km north from the center of Nyalam, it stood on the hillside with the Matsang River passed by. Milarepa spent many years in this cave and finally achieved enlightenment in the 11th century. Down the path near the village, there is a small monastery called Phelgye Ling beside Milarepa Cave. 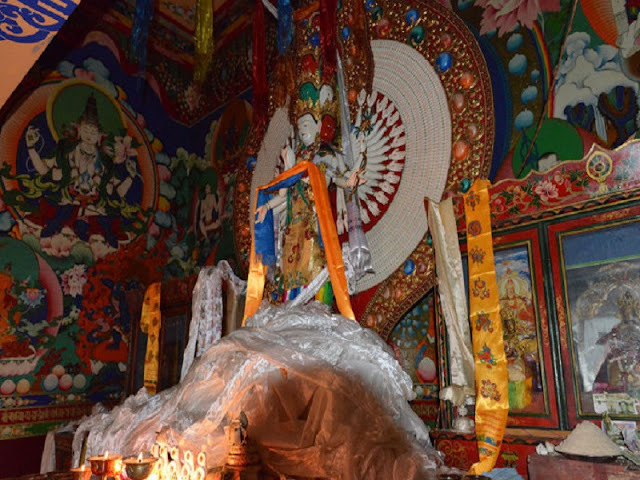 A precious image of Guru Rinpoche is displayed in the obscure little temple. 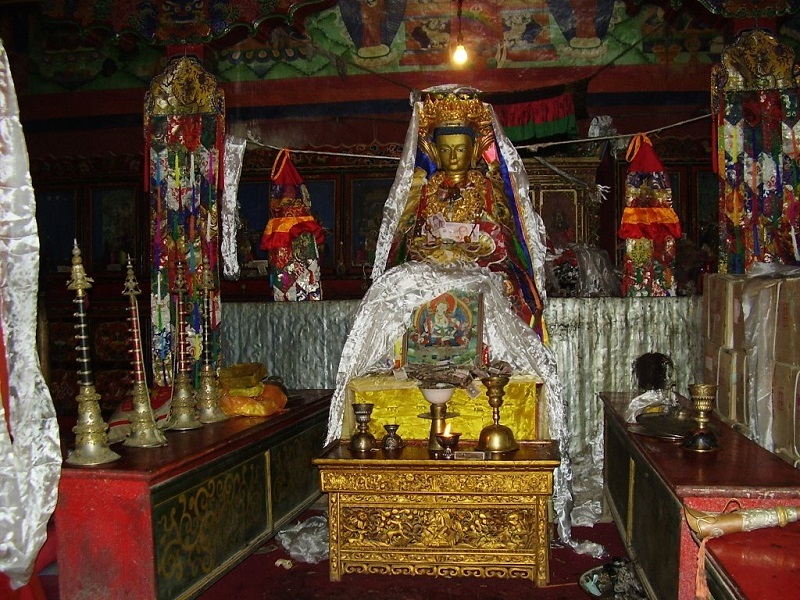 Once the temple was an ashram for Kagyupa, but it had become an appendage of the Sera Monastery which a famous temple of Gulug sects in Tibetan Buddhism. 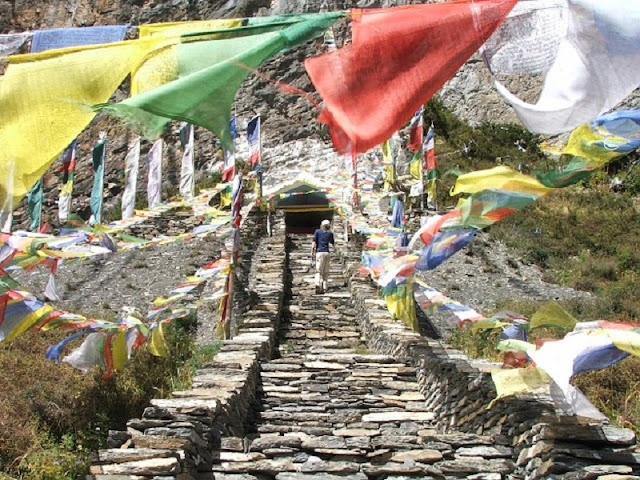 The entrance to Milarepa's Cave is in the vestibule of the temple. Lots of prayer stones were placed by the pilgrims along the path. Fragrant flowers and wild grasses dot the landscape and make it a peaceful and beautiful place. Being a holy place for nearly one thousand years, Milarepa's Cave is Guarded by two monks. The natural landscapes in the cave are very unique. 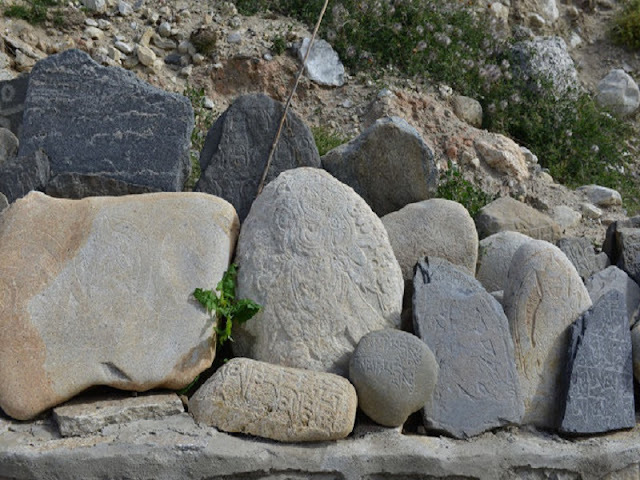 A great number of rock columns stood there which is said to be formed by the extraordinary power of Milarepa and his disciple. The space in the cave is small and one could only bend over to have a visit to the sacred place. 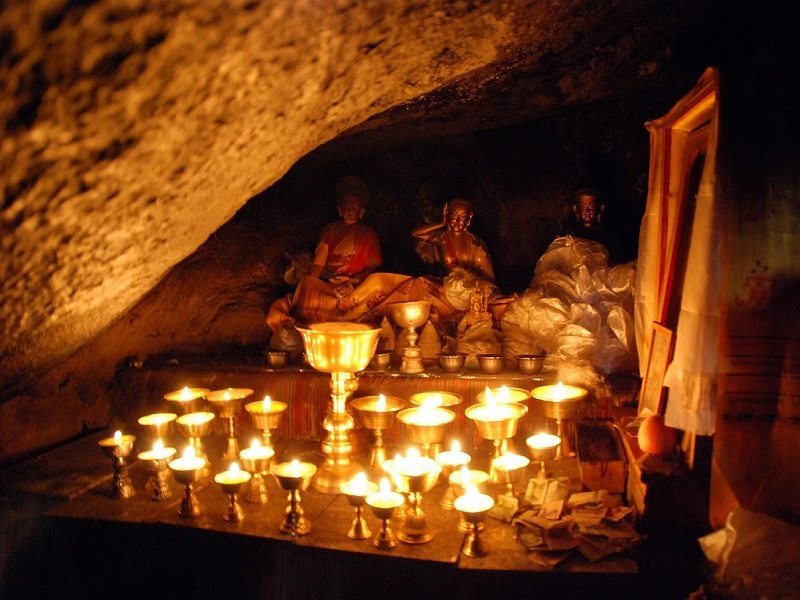 In the cave, there is a statue of Milarepa enclosed in a showcase. 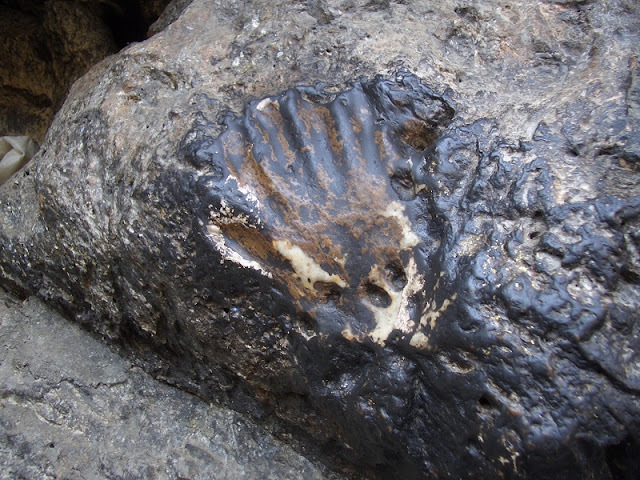 A remarkable impression into the rock shows the place where Milarepa had practiced yoga day and night. Besides, a handprint is said to be created by Milarepa when he taught his disciple the reality of being. 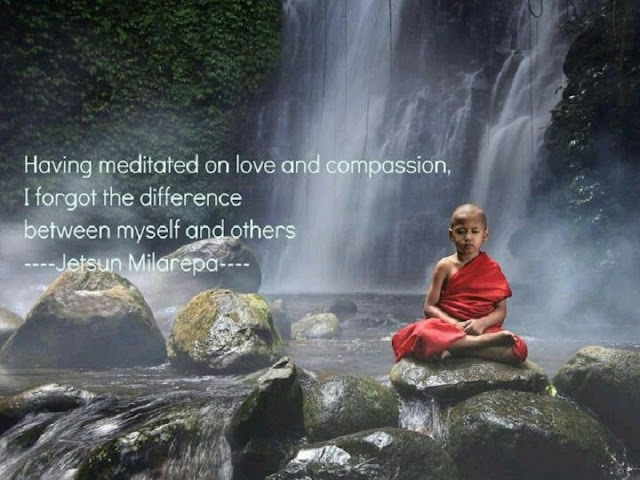 Also, there are images of Milarepa, Tsongkhapa and Shri Devi, the Goddess of Happiness and wealth in Hinduism, whose mule is said to have left a footprint in the stone when her great spirit met with Milarepa in another world.